I was trying to explain to someone today about what it means to be a Community Interest Company in the health service. We are in fact the only hospital of our kind that operates in this way in the UK and as such it makes sense for me to talk about how this makes us different. It is these differences that have driven our push to be person-centred and to embed one-page profiles in our culture. The easiest way to describe it is to compare us to an Academy in the education sector. Whereas most schools are funded and follow the protocol set out by their local authority, Academies have more freedom to use their budgets in the way that suits their individual school, teachers and pupils. We operate within the NHS but our CIC status allows us to direct our resources in the areas that we have identified as most important. A good example of this is how we have links with local schools and provide teaching on hygiene and infection control as a preventative measure to illness. We can do this because we have prioritised this type of community work and we therefore make it happen. Our CIC status means we can be innovative and creative in our approach whilst still being part of the NHS. 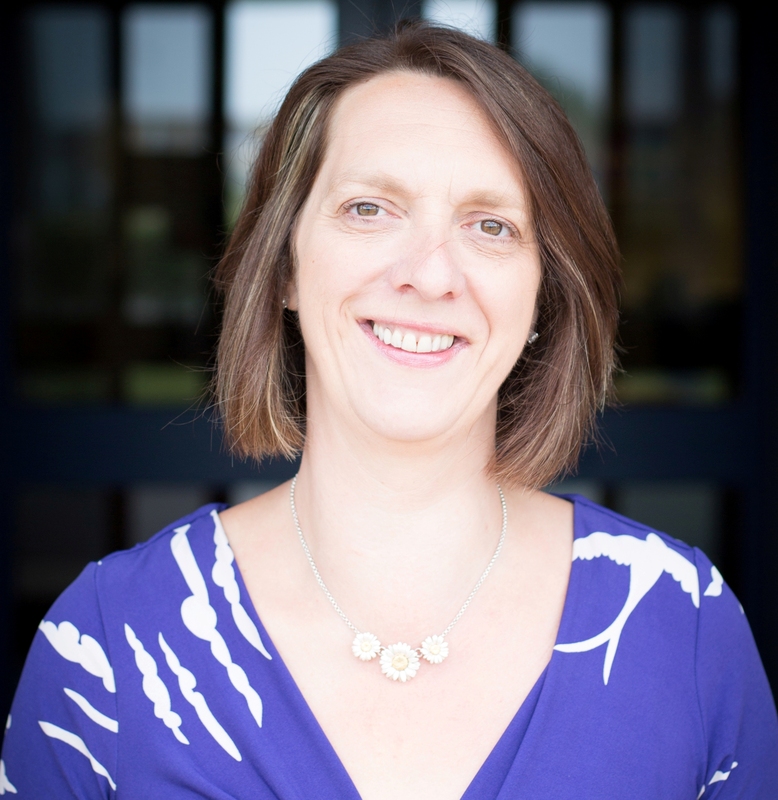 I’m a qualified nurse and for 17 years I worked at a senior level within social care, moving back into health in 2012 when I joined Spiral as Managing Director. My background in social care gave me a good understanding of the results that can be achieved through person-centred practices and I have been using one-page profiles personally for over eight years. Our hospital provides rehabilitation and health care for up to 40 people at a time. We take referrals from other hospitals and support our patients to return back to their own home and life in the way that works for them. This sometimes requires intensive physiotherapy, or extended medical care but in every scenario part of the recovery is about instilling the person with confidence and empowering them to recapture their independence. It is this part of our role that makes using one-page profiles so vital. 1) Understand your environment and your team: People who have worked with one-page profiles before or who have experienced the benefits personally know that they are powerful tools for aiding communication, understanding and providing personalised support. It isn’t easy though to introduce any new way of doing things into a well established environment or team and you need to have an excellent understanding of what is in place in order for it to work. Being person-centred is something that most healthcare professionals see as part of their role and it can feel strange to them to formalise it. We found that by using tools such as working/not working and by developing a one-page strategy we were able to identify existing practices that would be enhanced by using profiles. 2) Be realistic: Some of our patients might only be with us for up to five days and it would be unrealistic to develop a profile as detailed as you might see used elsewhere. The solution is to decide what information is most important to capture in order for us to support that patient to the best of our ability. We have found that by using whiteboards behind a patient’s bed we could note the information that is important to and for them and add to it throughout their stay. 3) Listen to the feedback: Aimlessly introducing a new process without validating its worth is sure to get peoples’ backs up. Very early on we started to collect feedback from patients and their visitors about the use of the one-page profiles. We wanted to know whether by understanding them better as individuals we had improved their hospital experience. Learning about someone’s love of animals or favourite TV programme can lead to great conversations and better relationships, not just between patients and nurses but amongst each other and visitors. Taking the time to sit with someone and ask them what is important has led to some rich insights and enabled us to make support and care decisions based on the individual and not just their condition. 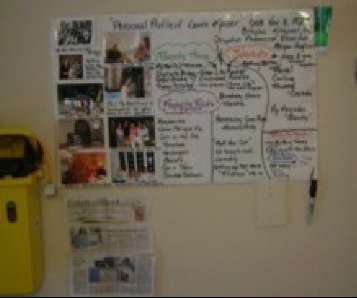 4) Coach Coach Coach: We have found the most effective way of embedding one-page profiles into everyday life in a hospital is to coach nurses on the ward to produce them with patients. It isn’t always easy to imagine something working in practice when learning about it in a classroom setting. By having person-centred thinking practitioners sitting side-by side with our nurses, they have found the approach that works for them. A one-page profile might only take 20 minutes to complete but the quality of the information will enhance the patient’s support for the duration of their stay and beyond. One-page profiles are the cornerstone of person-centred thinking and by using them, we are committing to knowing and supporting each and every one of our patients well and as an individual. In our case this has formed part of the larger person-centred journey, and is just another one of the ways that we are able to work innovatively for the benefit of the people we care for. You can read more about Spiral Health’s patient-centred journey and their pioneering approach to health care in the blog Personalisation of Health Services.